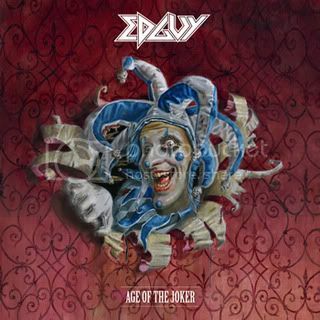 On August 26th EDGUY will release their new album, Age Of The Joker. Now the time has come for your exclusive chance to check out excerpts from the new album. All you have to do is register here at the official site with a valid email address and login to the Hellfire Club section to stream the first part of the listening session. If you're already registered, just login, choose Hellfire Club on the menu bar and then click on Music. The album will feature 11 songs with a total running time of over one hour. The limited edition digipack will contain a bonus disc with six additional songs.